Is someone you love important enough to sacrifice for? It’s been a rough month for budgeting. About a month ago, our cat, Thor, got really sick and we had a $750 vet bill. I’m happy to report that he is much better and is back to his old crazy self. Luckily, we had to the cash in our emergency fund to pay the bill and we were able to put the money back in the emergency fund the next time we got paid. Tuesday, I walked up to my car and there was paint all over the passenger side of the car. It looked like someone had sprayed white silly string all over the car. We tried everything we could think of to get the mess off, using Google and YouTube to try different ideas. No luck. 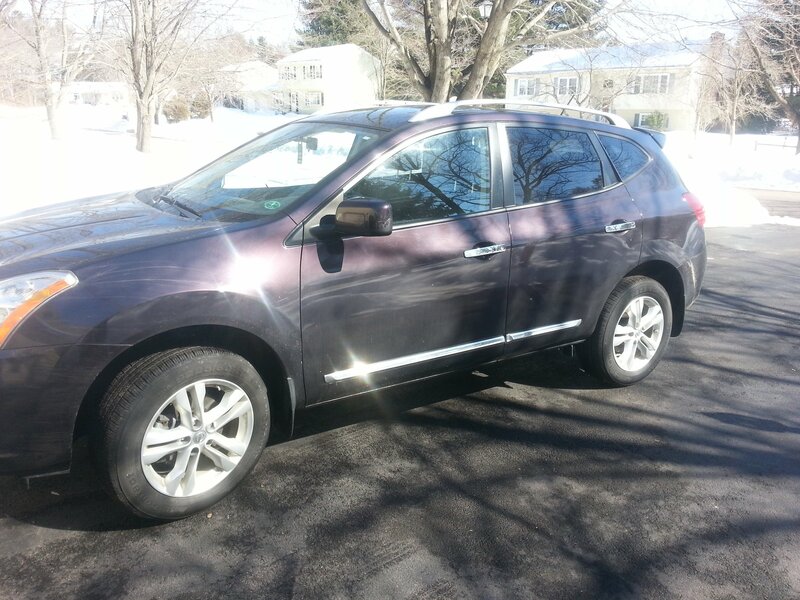 I reported a claim to my insurance company and $325 later, my car is white paint free. Another unexpected expense. I was starting to feel defeated. Now that tax season is over, the extra income from my business has slowed down so we aren’t making the insane progress we were over the past few months. The unexpected bills, while we are able to pay them, are also slowing down our progress. I got discouraged. We have a massive hole to dig out of. Maybe we should just stop and enjoy ourselves. We work so hard and I’m tired. I had to recenter myself. I had to remember why I am doing this. 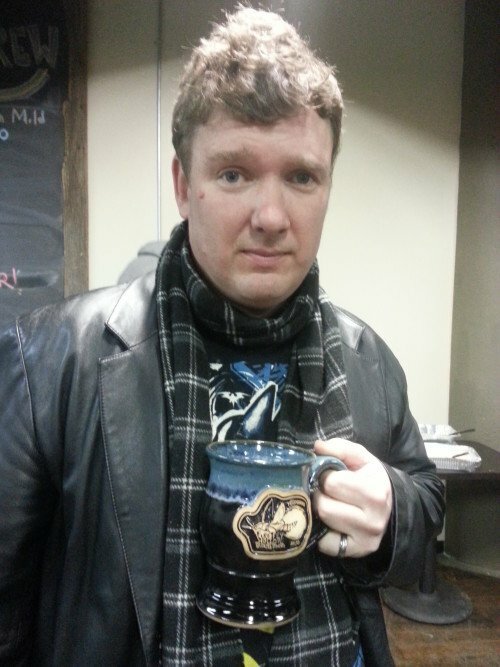 This is Jeffery, my insane, geek of a husband who I love more than anything. He is my why. In 2006 when I was diagnosed with cancer and we struggled through it physically, emotionally, and financially, my eyes were opened. I was lucky that we made it through and I am cancer free but it made me think about the mess I would have left him with. It probably would have bankrupted him. As a cancer survivor, it is pretty difficult to get life insurance so I can’t insure my way out of this mess. My solution is to clean up the mess so if something happens to me, at least financially, Jeff will be okay. Even as I think about it now, I get emotional. I have seen so many husbands and wives devastated by the loss of a spouse and then relive the pain all over again if the finances are not in order. I don’t want Jeff to ever have to go through that. 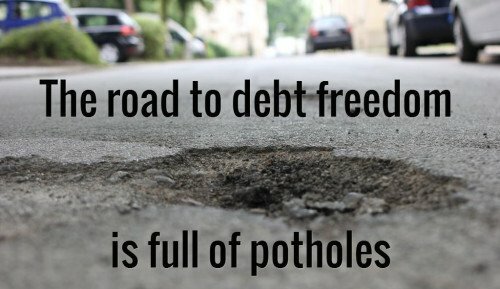 Why should you start down a path to financial freedom? Who is so important to you that you want to make sure they will be okay if something happens to you? When we paid off our credit card debt in 2012, we were elated. Paying off $70,000 was a major accomplishment for us. But we kept the cards. What if there was a major emergency? How would we pay for it? Then we got into the rewards trap. I loved my rewards card. We were paying it off every month and I was getting cash back. I used it for my business and felt like I was making money! We used the card more and more, justifying the use because we would get rewards. We put just about everything on the card and paid it off at the end of every month. Until we didn’t. Almost one year to the day that we paid off our credit cards, we couldn’t pay the bill in full. I was crushed. We vowed to never get into credit card debt again but we did. After I paid as much as we could, there were only a few hundred dollars that we couldn’t pay off but it might as well have been $20,000. That month we got back on a written budget after taking a year off. We stopped using the cards but we didn’t cancel them. In November 2013, I sent my husband a text message, “I’m canceling the card cards.” I thought he would object but he thought it was a good idea. He cancelled his cards as well. It’s been five months and we have not regretted the decision. It has made our lives easier. No more mail from the credit card companies. No more special offers to tempt us to use the cards. Some people think you must have a credit card, but I would argue that I can do anything with a debit card that you can do with a credit card. When we travel, we pay for the trip in advance, using a debit card. I can rent a car or a hotel room with a debit card. Yes, they will put a temporary hold on my account, but if I am so broke that I can’t afford the temporary hold, we shouldn’t be traveling. What if there is an emergency? That’s why we have an emergency fund. We have switched our mindset. Our goal is to become payment free. Our goal is to pay for things with money we have saved. 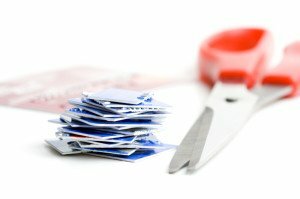 Cancelling our credit cards is probably one of the most important things we have done to work toward that goal. 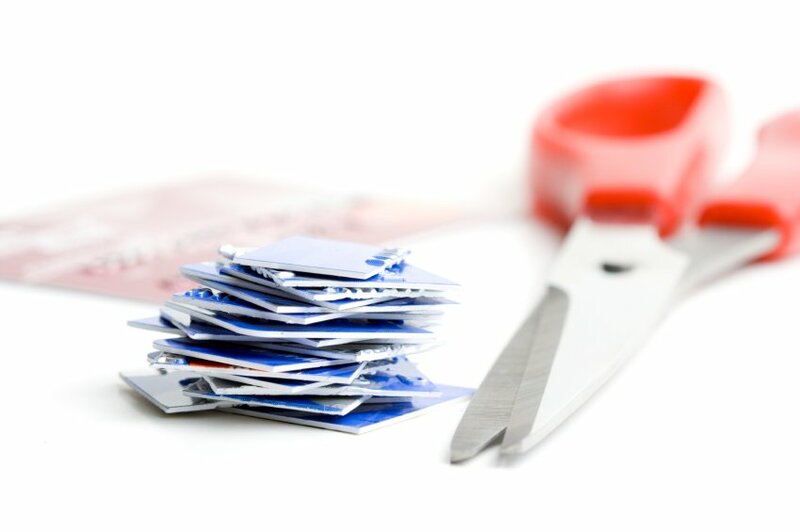 When you think about canceling your credit cards, what comes to mind? What would you need to do to be comfortable without credit cards? If you haven’t yet figured it out, I’m a bit of a numbers geek. I am a Certified Public Accountant and my specialization is tax. Yes, I know. Most people would rather gouge their eyes out with a rusty spoon than do taxes and this is my chosen profession… but I digress. I am also the person in the household who does the monthly budget and maintains the snowball and the payoff schedules that go with it. Yesterday, I made the first extra payment on one my husband’s student loan. It wasn’t a huge payment compared to the money we were throwing at the car and I got a bit discouraged. Then I realized that the payment I made was a pretty decent chunk of the balance. In fact, it was 8.2% of the balance (yes, I actually calculated it). The regular monthly payment is not even a fraction of a percent of the balance. I like 8.2%. Next month, when we make a full snowball payment, we are going to pay off about 50% of the remaining balance on that loan. I like 50% a lot better but I can live with 8.2% today. The reason I can live with 8.2% is because we have made amazing progress. We paid off the car a few weeks ago. In the same budget month (remember we use the 28 day budget), I was also able to make a decent extra payment on one of husband’s student loans. Not a bad month and I’ve still got two weeks to scrape some extra money out of the budget. I’m hoping to get that 8.2% up to 10%. We’ll see how that goes. Now for those of you who are following our debt snowball and are wondering how on earth I am going to pay off 50% of a $21,000 loan, husband’s total loan balance is actually two loans that we pay in one payment. The smaller loan has a balance of about $8,900, or at least it did before I made my snowball payment this month. My stretch goal is to knock that one out by April 15. It is a huge stretch but it’s tax season so it is mathematically possible. I’ll keep you posted. February was a very exciting month. About two weeks ago, we paid off the car. Things have been so busy around here that I just got around to updating the debt snowball. It is cold here in Connecticut. Really cold and windy, with blowing snow. Weather like this makes me think of escaping to somewhere warm. I start to think about sitting on the deck of a cruise ship, drinking something fruity. I want to go on a cruise. 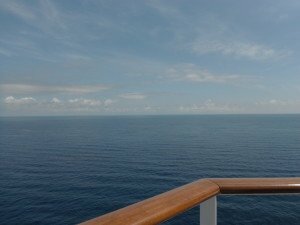 Photo from the upper deck of the Norwegian Epic, looking out into the Mediterranean.